Are you interested in running your WordPress site on Google Cloud Platform? Well good – you’ve come to the right place. 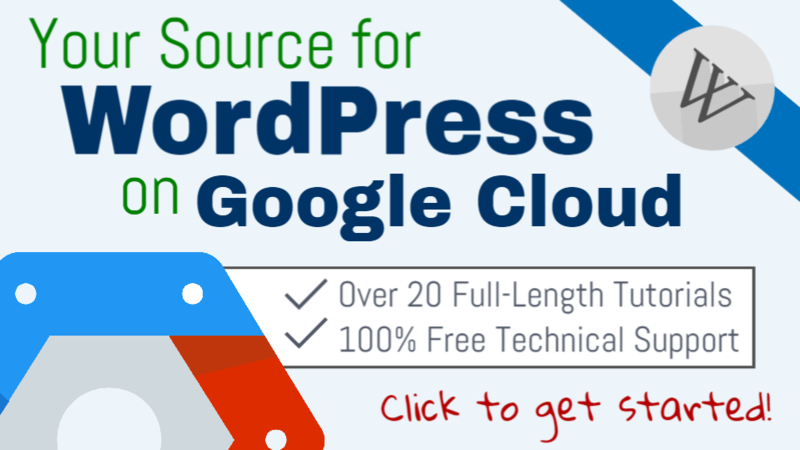 WordPress runs great on Google Cloud Platform, however, choosing between the two available options for installing WordPress on Google Cloud Platform can be difficult. Choosing which version of WordPress to run on Google Cloud is a decision that should be considered carefully. Although it’s not apparent at first, there are several significant differences between the Bitnami and Click-to-Deploy versions of WordPress on Google Cloud Platform. Read on to learn more about the differences, or choose your version below to get started. Click here to get started with the Bitnami version. Click here to get started with the Click-to-Deploy version. In this post, we will compare the Bitnami vs. Click-to-Deploy versions of WordPress on Google Cloud Platform side-by-side, so that you can choose the option that will work best for you. A side-by-side comparison of the software stacks of both the Bitnami and Click-to-Deploy versions of WordPress on Google Cloud Platform. Although the Bitnami and Click-to-Deploy WordPress stacks are very similar, you’ve probably noticed a few key differences. As you can see from the comparison, the Bitnami WordPress stack includes additional software components that aren’t included in the Click-to-Deploy version. Unlike the Click-to-Deploy version of WordPress on Google Cloud Platform, the Bitnami version comes equipped with some additional software including SQLite, Varnish, and OpenSSL. As the name implies, SQLite serves as a simple database solution for small to medium size websites. It’s simple to use, lightweight, and can be used as a standalone option on most platforms. Varnish is an HTTP cache server solution that is used by website and hosting companies due to it’s powerful features and flexibility. It offers increased functionality as an HTTP cache solution over the built-in web server HTTP cache solution. OpenSSL is an open source software package that implements SSL and TLS protocols for conducting secure communication over digital networks. Although both stacks offer a similar user experience, there a couple of key differences regarding accessing phpMyAdmin and configuring WordPress settings. In the Bitnami version, phpMyAdmin is only accessible locally via SSH tunnel. Although this requires additional work to configure, it provides an extra layer of security for your website. With the Click-to-Deploy version, phpMyAdmin is accessible directly from your domain by default. This potentially leaves your website more vulnerable to Brute Force Attacks, since there is no limit to the amount of times a user can attempt to login via the phpMyAdmin dashboard. By default, changing your website’s URL via the WordPress settings page is not enabled in the Bitnami version of WordPress on Google Cloud. Editing your WordPress URLs from the front-end via the dashboard is disabled in the Bitnami version of WordPress on Google Cloud. The recommended method to change your site’s URLs is to edit the default settings within your wp-config.php file. 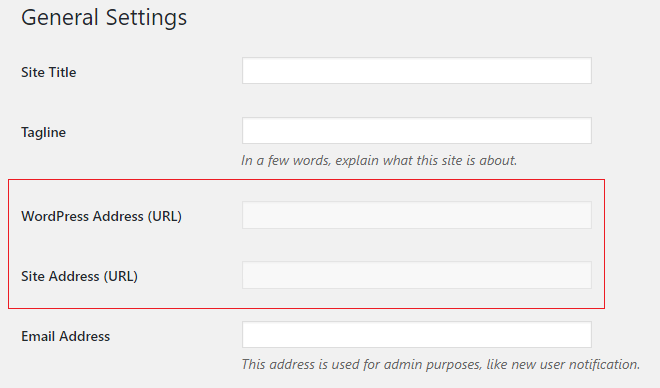 In the Click-to-Deploy version, you can change your website’s URLs directly via your WordPress General Settings page, which is standard in most WordPress configurations. A side-by-side comparison of the default pricing of both the Bitnami and Click-to-Deploy versions of WordPress on Google Cloud Platform. The recommended machine configuration for WordPress on Google Cloud would be a 1 vCPU + 3.75 GB memory machine, as configured in the Click-to-deploy version. If you run WordPress with a 1 shared vCPU + 0.6 GB memory machine, you may receive a message that your machine is being over-utilized. However, a 1 shared vCPU + 0.6 GB memory machine is sufficient for most low-traffic WordPress sites ( ~ 100-150k pageviews/month). In conclusion, both the Bitnami and Click-to-Deploy versions are are suitable options for deploying WordPress on Google Cloud Platform. However, both options are configured differently, and choosing the right one depends on your particular situation. The great thing about using Bitnami is that the configurations is nearly identical across most of of their stacks. So once you’ve learned how to deploy their version of WordPress on Google Cloud, you could just as easily deploy their Moodle, Drupal, or dozens of their other stacks. Another great thing about using Bitnami’s stacks is that they offer free technical and extensive documentation for all of their stacks. Unfortunately, Google Click-to-Deploy offers neither of these great features. Finally, if you’re new to the cloud, Bitnami might not be the best option for you. The Bitnami version requires more back-end configuration than the Click-to-Deploy version and therefor takes more time and technical know-how to set-up. The great thing about using Click-to-Deploy is it’s simplicity. You can have a WordPress site up and running in a matter of minutes, without ever having to configure your site from the back-end. The main drawback to using the Click-to-Deploy version is that Google doesn’t provide any documentation for it’s Click-to-Deploy solution, nor does it offer free technical support. If you’re new to Google Cloud and are looking for a simple option for deploying your WordPress website, choose Click-to-Deploy. Over time, you will inevitably be required to learn how to configure your website from the back-end as your website grows. If you have grand ambitions for your WordPress website and want to harness the full power of cloud computing from the beginning, choose the Bitnami option. However, this option requires a significant time investment to learn how to configure your site from the back-end. There is one thing that I noticed using GCP as a host is that it does not allow the permalinks to be simple post names and instead shows pages on “http://www.yourdomain/index.php/about” only. Even after using redirects or setting the permalinks on Post names, it does not change anything. Is there a way around it? That’s not specific to Google Cloud – that has to do with your Apache server configuration. I go over a workaround in this comment. I don’t see a post on this problem. But my website is down due to the database i think. I am not sure what made it crash? I don’t think i did anything. Is there anything I can do to get my site back or figure out the problem? Stop your VM instance by clicking the stop button at the top of your VM instance dashboard. What are you seeing? Is any of the disk use % over 80%? 90%? Next thing I would do is to increase the memory of your instance. As of now, I imagine you are using one of the f6-micro machines with 10GB memory. I would upgrade the SSD to 20GB and increase your machine memory from 0.6 to 1.7GB. If these steps don’t work, try looking around on Google and StackOverflow. This stuff is difficult (that’s why managed hosting companies exist) so you’ll want to get good at troubleshooting and fixing your stacks when they inevitably break from time-to-time. Please let me know what you find. I will be around to answer your questions, so feel free to reach out. I stopped the instance made the memory change and re-started the instance in the console. I wasn’t able to follow the apache re-start command – said access denied. Is that bad? But my site has come back up! But I didn’t change the SSD, it is still at 10GB. – Do you think I should change that too? Just make sure to monitor your disk usage with the df command. If the % utilized gets too high, then upgrade to 20GB. 1. Installing, configuring caching on deployed version of WordPress on Google cloud? I currently don’t have any tutorials on how to configure caching or how to add additional resources to running instances. That being said, I’ve included some informational resources below that you might find helpful. How do I add more cpu and ram when required? Check out this article for information on upgrading your machine. Go to the section titled “Changing a machine type”. I’m new to GCP so your tutorials have been so helpful! I’ve used the Click-to-Deploy version of WordPress on GCP but I’m worried about a brute force attack on phpMyAdmin. Can you recommend a way for me to secure phpMyAdmin? That’s a very valid concern, as there is nothing preventing brute force attacks in the Click-to-Deploy WordPress stack. I haven’t worked as much with Click-to-Deploy, and what I’ve found for a solutions is ‘FailtoBan’. Here’s an informative StackOverflow thread on the implementing it. Let me know if you find/implement a solution that works well for you. Thanks for your reply. I ended up using the Bitnami install. Being new to this the last thing I need is for hackers to take down my sites! I enjoy yourtutorials, keep up the good work! The key is to keep your Google account secure, as any hacking activity will be contained to your VM and you can always build in redundancy if you have the technical know-how. I will be doing a tutorial on this at some point in the future. If you haven’t yet done so, I would recommend adding two-factor authentication to the Google account that’s hosting your Google Cloud project. Did you do a find & replace when you migrated your website? Check the URLs of the images that are embedded in your site. Do they match your domain’s root URL? If not, they need to be changed. If you want me to look at the problem on your website, please send URL. I’m glad you got it working. Your cheapest option that is closest to “free” would be Google. You get one f6-micro instance per account under the free tier, which is more than suitable to run a WordPress website. That being said, there is no “100% free option” – you still have to pay for IP, Cloud DNS, and other random charges – so expect to pay between $1-$3 per month. Hey Joe, your tutorials are really easy to follow. I became a fan of you. Usually, I don’t subscribe to any channel on YouTube but when I saw your tutorial then I just clicked on Subscribe button as a blind. Anyway, can you please create a tutorial on How to use CDN for websites hosted on GCP. I am so glad to hear that you’ve enjoyed the tutorials. Are you using GCP to host this website? It seems to be running smoothly. I’m using the bitnami version and I’m finding that it struggles with speed. (AKA pages load somewhat slow for the end user) I’ve tried setting up some caching plugins, but it seems like none of the popular wordpress caching plugins work out of the box. PS – I have already put my media elements on google cloud storage, which acts like a CDN. Yes this website is running on GCP. The site used to be faster, but as it’s grown so has the amount of data being served to site visitors. For this reason, I will have to make some infrastructure improvements that I will be covering in some of the coming tutorials. The most important thing I think is optimizing images, followed by browser caching. Also, a lot more of the website’s traffic is coming from India, and for that reason I will CDN. Nice post , very informative for choosing between the two. I would not buy the pro-pack, instead I would just use their Genesis theme and activate a Genesis child theme as your WordPress theme. The Genesis theme is used by a large number of WordPress users because it’s very dynamic and allows for advanced functionality. I am not certain, but I think you can find it for free online. You will have to have a working knowledge of HTML and CSS to customize the theme.